Before you can actually visit the monastery, you need to first make your way to the island of Kefalonia. You can do so by either taking a ferry into one of the ports on the island or take a flight into the regional airport. Once you make your way to the island, you are free to find the Monastery of Kipoureon. 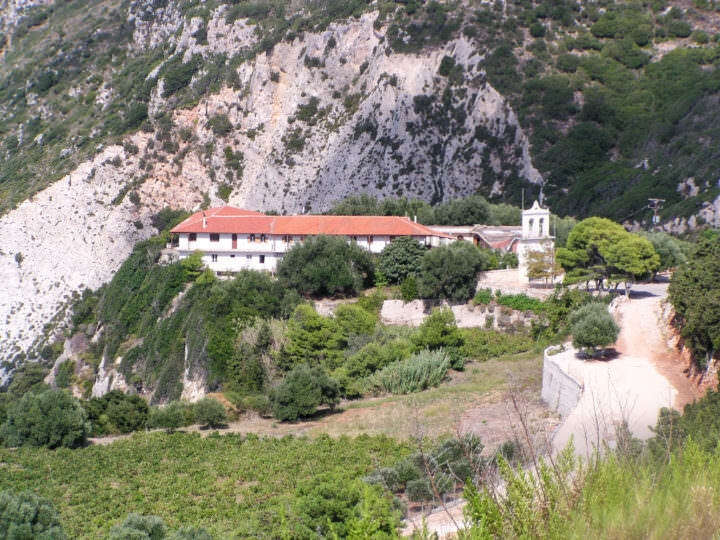 It is located about 15 kilometers south from the Lixouri, which is the closest town to the monastery. Your best bet is to either rent a car or take a taxi to the monastery. The Archibishop of Paxi Chrysanthos Petropoulos founded the monastery in the 1600’s and it has been an active monastery ever since. When translated into English, the name means the Monastery of the Gardens. This is more than just a name, too. The scenery and views here are gorgeous and worth a glimpse. The monastery sits perched on a cliff and the views are outstanding. There are still gardens on the premises that are beautiful to stroll through. However, the monks no longer cultivate them in the way they used to. There was a time that the monks used to make a living with them. The monastery is nestled in a beautifully forested area, which makes the scenery even better. 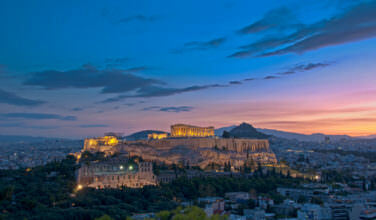 The people of Greece traditionally practice Orthodox Christianity, and the Monastery of Kipoureon is part of this tradition. Besides being a religious place, this monastery is worth a visit because it has some great views. 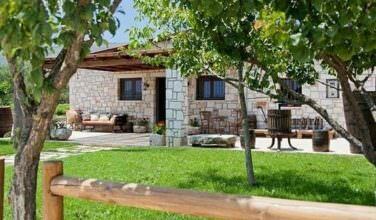 It is in a peaceful and idyllic setting, and it can be worthwhile to spend some time here. Before you head to the monastery, however, you want to make sure that you adhere to any rules they might have, such as their dress code or honoring their official visiting hours. As you approach the monastery, make sure that you pay attention to the seaside views. You may even want to stop and snap a few pictures before you actually make it to the monastery. Once you arrive, you’ll want to take pictures of he view from the cliff as well. It’s true that Kefalonia is one of the prettiest islands in all of Greece. If you want to visit a great place that has a stunning beauty, you won’t be disappointed by the Monastery of Kipoureon.